I draw much attention how today we have come to live with rheumatism, diabetes, allergies, cholesterol, migraines, hypertension, varicose veins, fibroids, polyps, cardiovascular disorders, autoimmune diseases … without much surprise anyone. On the other hand, concern for physical appearance and to keep the line, it leads many people to count every calorie they consume and undergo countless diets with questionable effectiveness. But are we really aware of what we eat? Or put another way: we conducted a conscious eating ? Many of the conditions of modern humans are a result of a poor diet. And while it is true that medical advances have managed to eradicate and control serious viral diseases, which were a direct cause of death for years; degenerative diseases are now the plagues of our time. In recent years they are being carried out numerous studies that show the healing power of many plant foods, prepared in its simplest form. It is a knowledge that has been lost in pursuit of modernity, but as a human being primitive, being immersed in nature, knew what was right and what was wrong and how to cure many of their conditions. The conscious eating is based on the idea that the functioning of the body depends largely on the food we eat and the way we consume. Therefore, if we learn to avoid foods that harm us, we can better maintain our health. Each food has a specific energy load that causes specific effects on each person.All food, without exceptions, they have one of the two basic energy charges and are subject to specific operating rules. Our health today is the result of what we have eaten YESTERDAY.In general, we are in a state of health is not as good as we think. In many cases the state is not manifested by the ability of the body to accumulate toxins due to age or due to the strength of personal constitution. 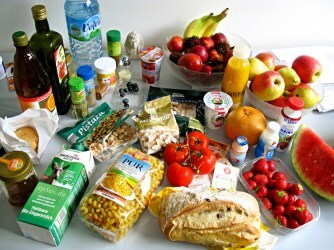 It is possible to influence the state of personal status (health) through food. Fortunately, in most cases, we are in time to take the daily control of our future health through proper nutrition. Health can (and should) influence. TOMORROW depend on our health, especially what we stop eating TODAY (NOW).As our knowledge increases, we go throwing away food that both damage our health, while we will take the most appropriate to our condition. No one but the person himself is able to decide the change of power model. Changing the model of power to which we are accustomed is a real feat that requires discipline, willpower and a huge motivation. Only need to cure a disease or the will of the person themselves is able to carry out such a change. The latter paradigm is perhaps the most important and often complicated, the feat to change many eating habits established over the years is a very personal process. Alone is not enough good information, has to be a real conviction about the influence of diet on health. That is why I wanted to start talking Conscious Food reviewing these previous five paradigms change. In the next post I will talk more about Food Conscious and the things I know about macrobiotics, orthomolecular medicine and intelligent power. Will you join to change?